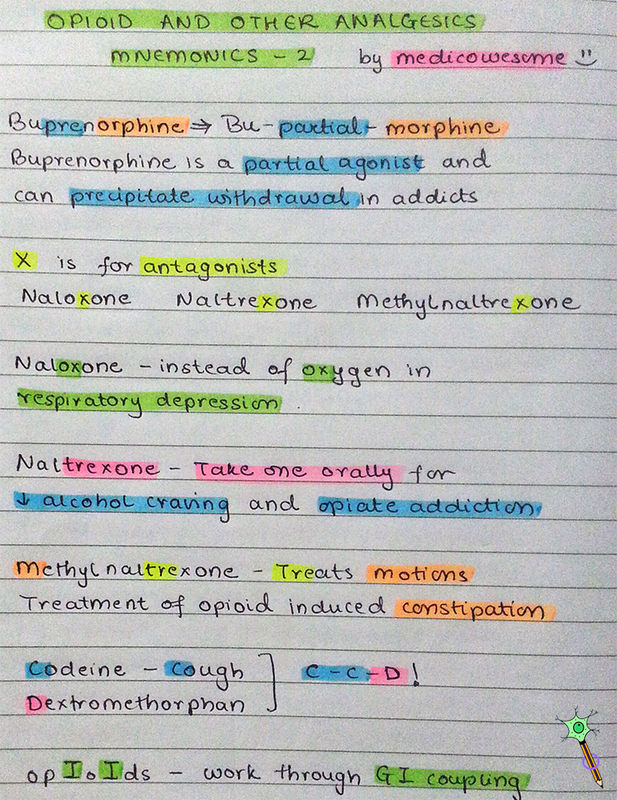 I kept forgetting the unique feature of opioids and hence I felt a compulsive need to make a mnemonic. 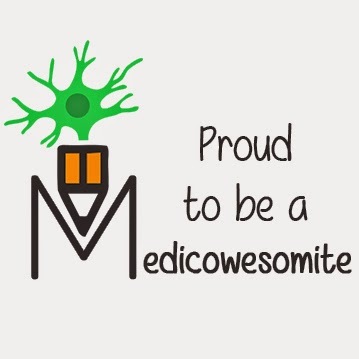 It was really hard making a mnemonic for it but I managed and I hope it helps! 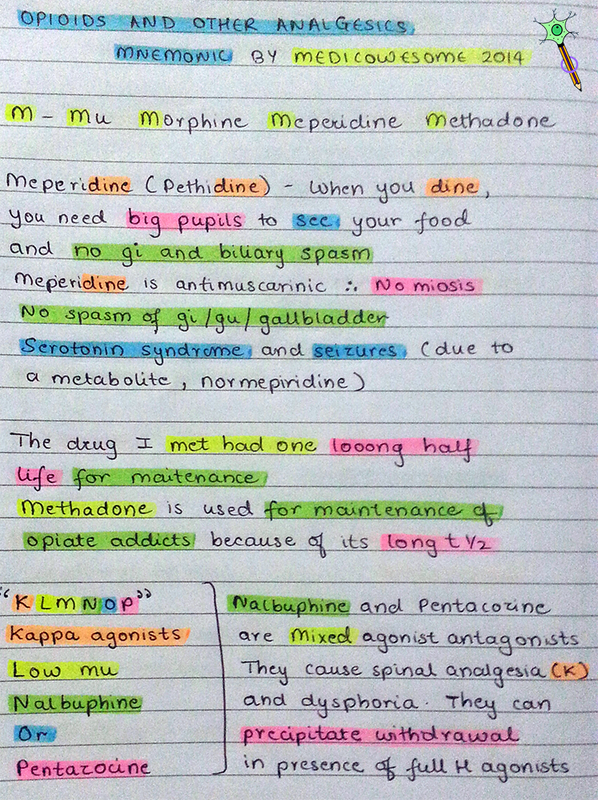 Meperidine or Pethidine is the only opioid that has antimuscarinic actions. Mathadone is used for long term maintenance of opioid addicts. Nalbuphine and Pentazocine are mixed agonist antagonists. Buprenorphine is a partial agonist. Naltrexone, Naloxone & Methylnaltrexone are complete antagonists. Codeine & Dextromethorphan are used for cough. You're most welcome. Haha glad you liked it! Dear sis , I donno y do I get this feeling that u r abnormally intelligent. Of course ,more stress has been given on the word abnormal... Just kidding. Haha thanks. I'm just a normal person with a little creativity. Really great!!! Thx a lot!